Throughout his career Jonathan Laidlaw QC has maintained a health and safety practice appearing for a large number of corporate clients which include Texaco, Gulf, BOC, Ford, Southern Cross, Esso, BHP Billiton, Fluor, Marwood and Merck. In recent years he has successfully defended BHP Billiton in a series of cases brought by the DTI, the MCA and the HSE arising from incidents at the Liverpool Bay field, acted for Southern Cross in cases involving fatalities in their care homes; successfully defended Fluor in a prosecution arising from the construction of the Inoes Chlor plant in Warrington; successfully defended Marwood Limited in a case which was to have been tried in Bradford; successfully defended one of the directors in Lion Steel one of the first corporate manslaughter trials; successfully defended the Ancient Order of Foresters; represented Cape Industries facing charges arising from a fatality; appeared for the Princes Sporting Club who faced corporate manslaughter charges; for Monovan Construction Limited, the first company to be sentenced under the new Sentencing Council Guideline; for JTF Wholesale who face corporate manslaughter charges and BAM, Ferrovian and Kier following a fatality on the Cross Rail project. Legal 500 rate Jonathan Laidlaw QC as one of the leading health and safety silks and for his work in this area he has been described in the Chambers and Partners guide as having “a stellar reputation” with “a health and safety pedigree stretching back over 20 years”. One source of that directory said; “He is a fantastic cross-examiner and a fantastic operator in terms of dealing with jurors. He has a very good style, combining the cut and thrust of criminal advocacy with an intellectual air”. In 2013 he was nominated by Chambers and Partners as “Health and Safety Silk of the Year”. The 2015 edition was in these terms, “Jonathan Laidlaw QC … is frequently involved in cases relating to the construction sector, and … receives a large number of instructions from US companies. 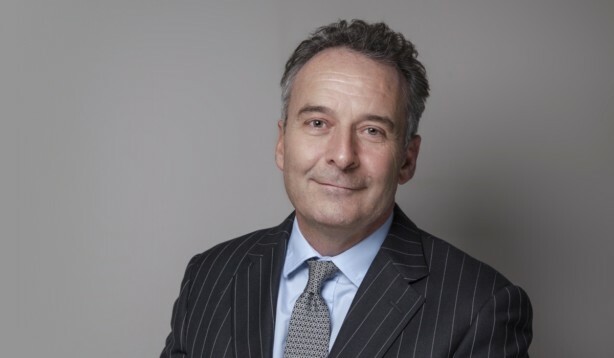 Market sources speak about his practice in glowing terms and note his involvement in the leading corporate manslaughter cases of the day.” The 2016 edition says, “he is a very good silk and criminal lawyer.” “He is a consistent performer at the highest level and engages as part of the team” and “Jonathan Laidlaw QC has gravitas and sound judgment. He is excellent with clients, approachable and available.” The 2017 guide says, he is a “seriously impressive criminal silk who has a thriving health and safety practice. He undertakes all manner of health and safety work for a host of clients” and describe him as a “proper advocate in court, who has so much gravitas”. The 2018 guide says, he is a “man of great authority whose preparation is immaculate. He’s a stickler for detail and picks up the important minutiae of a case”.